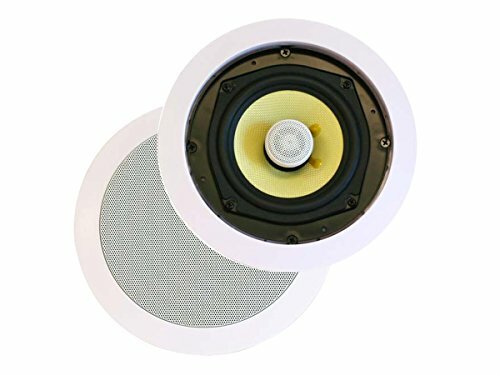 "This Kevlar in-ceiling speaker offers the perfect combination of performance and style. The use of aramid fiber for the woofer means that the speaker can hit harder, go lower, and handle more power with significantly less distortion than conventional drivers. The titanium silk dome tweeter produces clean, crisp, and clear highs and mids.